Have you noticed that knobby, funny-looking, little root piled high at the produce section of your market lately? Nope, it’s not fresh ginger. Not, some new exotic vegetable either. It is turmeric root, and fresh turmeric root can brighten a dish with flavor as well its neon golden-yellow hue. And, oh yes – it can provide some major health benefits, too — especially if you use it the correct way! 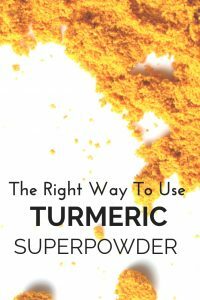 I have used powdered turmeric in many dishes and began using the fresh turmeric root this past winter when I spotted it at the market. I had been primarily grating it over roasted vegetables and to make this delicious way to unwind, but I have been chopping it up in a few more things lately and thought I would share this simple salad dressing you may want to keep around for a quick and highly nutritious dish, too. Without sounding . . . well, like some swaggering, know-it-all cook (which I am not, I assure you), this recipe is special – particularly in the sense that it opens the door wide to all those health benefits of curcumin – the main healthy ingredient in fresh turmeric. Of course, it does taste great, too! But, come see why you may want to use turmeric in your cooking this way — the right way! Curcumin is the main active healthy nutrient in both fresh and dried turmeric, but it is poorly absorbed into the bloodstream. However. studies show if consumed with black pepper, the absorption is increased – quite a bit. Curcumin is fat soluble, so it may be a good idea to consume it along with some healthy fat in the dish as well to absorb it best. Fresh turmeric, like fresh anything, has a brighter flavor than the dried. The dried is very healthful, too, but the fresh has not been heated or processed in any way. Fresh turmeric can be rather expensive so freeze it like fresh ginger and pull it out when needed to grate or chop. I typically do not peel it before using it because the roots are usually thin but, depending on how tender or mature it is, you may want to scrape off the peel before using it. Check out what readers suggest from a favorite blog on getting turmeric stains out of your countertop. That glow I was talking about? It is intense and I don’t want it to stain your pretty kitchen or your clothes. 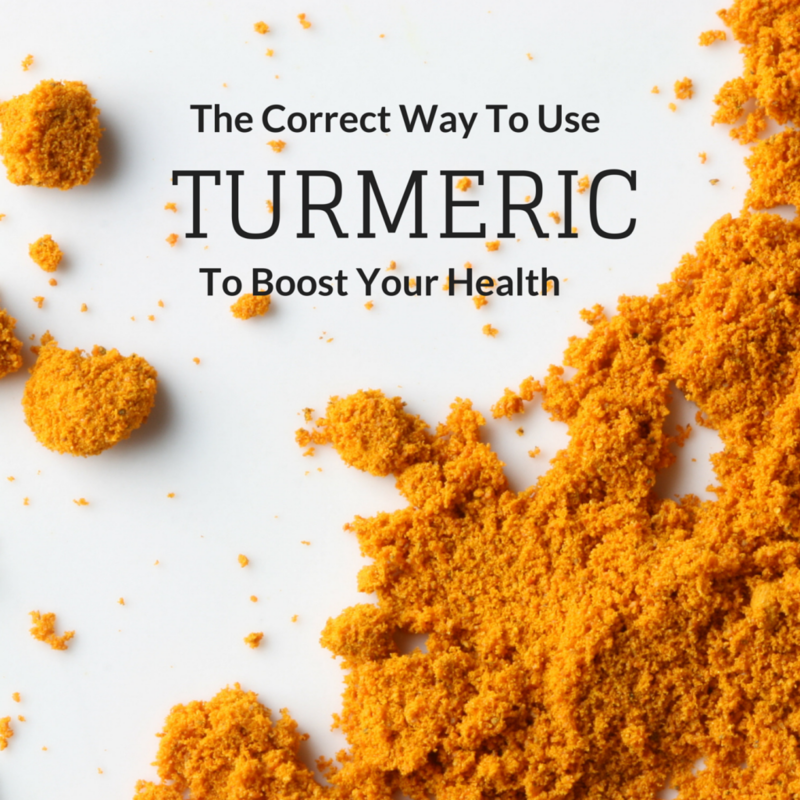 The curcumin in turmeric may be able to prevent damages to blood vessels and the build-up of plaque that can lead to heart attack, stroke, and atherosclerosis. Curcumin may provide an inexpensive and effective treatment for inflammatory bowel disease (IBD) such as Crohn’s and ulcerative colitis. Turmeric could aid in the treatment of Alzheimer’s disease to aid in blocking the formation of plaque that contributes to the disease. Turmeric’s anti-inflammatory compounds could aid in decreasing arthritic symptoms. Turmeric is being studied widely for the potential aid in some cancer treatment and prevention. I typically do not share recipes often here as there are so many talented food bloggers out there that delight us with their creations! But, this is so simple and you can make a big batch at a time and with the weather turning warmer and fresh, beautiful greens at the farmers’ markets in abundance, salads are sure to be a staple at meal time now. But, actually, my favorite way to use this dressing is as a dip for raw vegetables.This recipe uses fresh turmeric “the right way” as it combines it with two healthy fats and freshly ground black pepper. Tap on the green links in the ingredient list for even more helpful information. Taste and adjust seasoning. Thin with a teaspoon of water at a time, if too thick. Store in a glass jar in the fridge for a few days. Check out these other healthy amazing spices you must have on your shelf. Perk up your tea and coffee with these spicy, healthy additions. Have you used the fresh turmeric? Please do share a favorite way you use turmeric (dried or fresh) in your cooking! As a spice, turmeric is commonly used to prepare pilaf which gives a beautiful, golden yellow color and a delicate aroma and taste, while neutralizing slimy and cute properties of rice. Mandatory ingredient in the preparation of all types of legumes because it helps digestion and adoption of proteins and prevents the formation of gases and flatulence. Interesting recipe I like it. Great additional information. Thank you so much for adding in here! Turmeric has lots of benefits for health and skin as well. It contains anti-fungal properties and very effective to get rid of fungal infection. In-taking with milk is helpful to heal the wounds. Thank you for the recipes! Due to the studies that Turmeric can help in the prevention of cancer, I put it in my protein shake every morning! Great idea! I hope you have a bit of healthy fat in there, too, to help you absorb all its wonderfulness. Thanks so much for adding in here with a great suggestion. I'm pinning this one among my recipes too. I read a lot about turmeric, but I'm guilty of not using it yet. Thanks a lot for sharing this alternative on #tiptuesday. Great to hear, Debbie. Do try it and let me know what you think. Be careful if new to the spice as it stains! I love turmeric but didn't know its great benefits, thanks for sharing! Glad you learned about its amazing benefits! I will pop over later to check out your suggestion! This dressing looks to die for! I didn't know any of this about turmeric; thank you! It is a major do-gooder for our bodies! Try the dressing and let me know what you think, Cayanne. Thanks for taking the time to comment and happy you learned something new. I haven't had fresh turmeric, but I love the dried stuff. I need to use it more often. This dressing might help me do that! Do try the fresh and grate away! So good to see you here, Nicole! Yup – It is loaded with ' em. Do try it, Deborah and I hope I have convinced you to do so! Thanks for sharing, I have also been loving tumeric for all of it's wonderful health benefits. 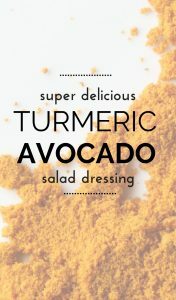 I am definitely going to try the tumeric avocado dressing, that sounds amazing! I have actually used tumeric as a face mask mixed with yogurt and honey…a little messy but it definitely made my skin a little softer! Thanks! Interesting face mask! All those ingredients are great for the skin. Thanks for taking the time to comment, Jody. I have read so much about the wonderful health benefits of Turmeric. I think everyone should be added it to their diets. Thanks for sharing all this great information. You should check out Real Food Fridays that goes live every Thursday @ 7pm EST – we would love to have you share your recipe and information. Thanks so much, Maria! I will stop by. I have never used or even had turmeric, but know of the anti inflammatory properties, I wonder if ground would be just as beneficial? Both are great, Amber. The flavor of the fresh is a little brighter, I think. The powdered has been processed somewhat too, but the fresh is hard to find. Use whatever form you like to reap the benefits. I don't use tumeric very often but I need to. I hope I have convinced you to do so more often, Jill. I love salads so I cannot wait to make this healthy and delicious turmeric dressing! Thank you for sharing these important insights on the right way to use turmeric to boost health at the Healthy, Happy, Green and Natural Party Blog Hop. I'm pinning and sharing. Thanks for sharing it. Always good to hear from you, Deborah. I love adding turmeric to channa masala but that's the only recipe I've really used it for. I had no idea if was so great for you! Oh, it is and more studies are coming out about it each month. Thanks, Liz, for taking the time to comment. Have a great weekend! I've only recently started using turmeric (I need to get another bottle) but just toss it into whatever I'm cooking like any other spice. Good for you! It can't be missed with that intense color, huh? Thanks for stopping by! I am SO going to make this dressing! I just pinned it! Very interesting post! Pleased you are pinning and, by all means, play with the flavors here to suit you. I just dipped some raw broccoli in it yesterday at lunch and it was great! Thanks for coming by, Mary Beth. Wow! This recipe sounds great and thanks for all the info on turmeric! I am having to take anti inflammatory meds right now and have been trying to juice with turmeric or add it to my foods also every day so I really found all this info very helpful! So happy to help! Welcome and thanks for coming by! I am glad to hear you use it regularly and give that pepper mill a few grinds, too! Thanks for stopping by and taking the time to leave a comment. Always appreciated. I confess Lori that I have never bought or used turmeric in the past! Clearly this has got to change. I've seen it, read briefly about the health benefits but never got any further. You've convinced me that I need to get on this asap. Thanks for the intro! You are most welcome, Laura! Happy to have helped. So happy to have made the introduction, Launna! Let me know how that dish turns out.